Bhaskar Save was born in 1922 in the charming village of Dihri in Gujarat, India. He had a happy childhood and reminisces about his formative years. “Farming was a natural, intercultural part of life, changing according to the season. It was a fulfilling occupation - not the alienated, anxiety ridden struggle it has become with modern methods.” Bhaskar Save grew up on his family farm which cultivated traditional crops like rice, pulses and vegetables. Despite the demands of farming there was abundant leisure time, which allowed him to observe and enjoy the beauty and gifts of nature. 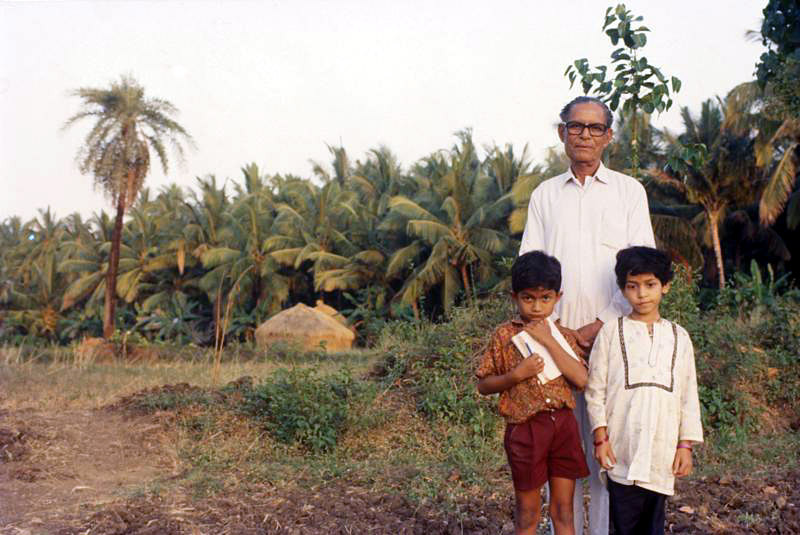 He spent ten years as a teacher while working every day from 6:00 to 10:00 am on the family farm. In 1951 he married Maltiben. In the same year he dug a well and, along with water irrigation, came the first use of chemical fertilizers. He started to have bumper crops which even attracted public attention. This led the director of a fertilizer company to offer him an agency for marketing chemical fertilizers! He was convinced as well as convincing with this new form of agriculture and became a “model farmer” in the early days of the so-called “green revolution”. In the mid- 1950s, he was able to buy one hectare of land suitable for growing paddy. This was the foundation of his present Kalpavruksha farm. Save soon realised that he had entered a vicious cycle with the use of chemical fertilizers. Just to avoid dropping yields he had to use more and more mineral fertilizer. Mahatma Gandhi had a great influence on Bhaskar Save from his early years on. His ideas inspired Save´s “organic experiments with truth” as he calls his conversion to organic farming. Another influential person was Vinoba Bahve who impressed Save not only with his writings on farming, but even more so with his integrity, a trait Vinoba shared with Gandhi. Save reverted to organic paddy (rice) farming and experienced quite a significant decrease in yield at first. But – at the same time - he realised that he was benefiting from significantly declining input costs which gave him a marginal profit even in the first year of conversion (he did not fully convert to organic farming all at once, but continued to use chemicals for the production of his market vegetables at first). He ended up nearly doubling his farmland and was able to build a small home for his family. Facing difficulties marketing his vegetables (due to over-supply), he switched to planting fruit and nut trees. Finally he was so convinced by his “experiments” that he stopped using any chemicals at all on his land. 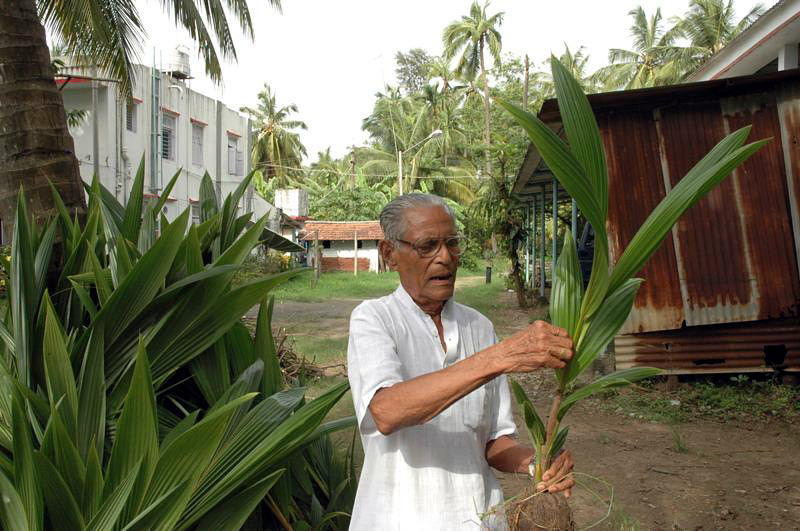 More and more diversity flourished on his farm where he soon produced not only bananas, but also coconuts and papayas. 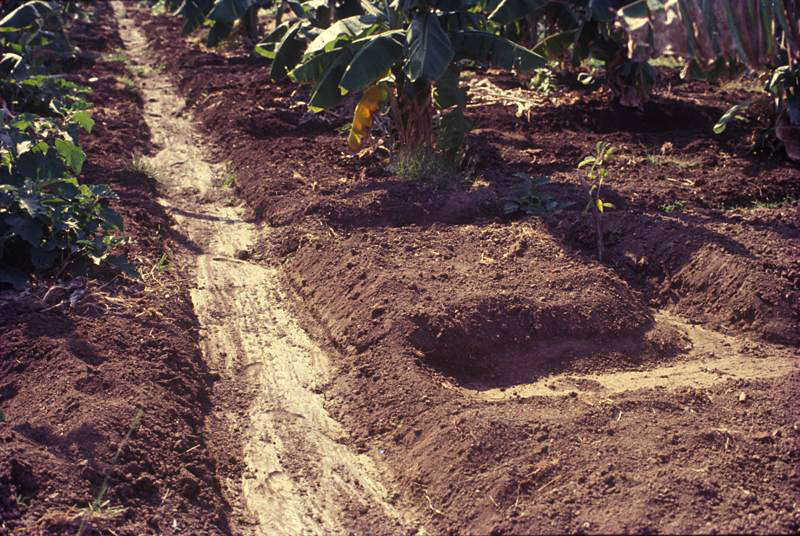 Trees became an integral part of his farm and he developed a system of raised platforms divided by irrigation trenches on which he grew trees. This system became known as the “platform & trench-system”. Year by year the organic fields yielded more (while the cost of labour inputs surprisingly declined), leading to a steadily increasing income. He shares his vast knowledge with others by writing articles and contributing to book publications, sponsored among others by the United Nations Development Program. In the last three decades, a few dozen articles have been written on Bhaskar Save and his organic farming – not only in English but also in Marahati, Gujarati, Hindi and a few more languages. His convincing dedication and “fame” also led to films about him and his work was broadcast on TV channels. Bhaskar Save has received various recognitions and awards, including the best coconut farmer award by India’s Minister of Agriculture. He is regularly invited for consultancies and lectures. But what he likes best of all is talking to practicing farmers. Every Saturday a large number of people come to see Mr. Save and his farm in order to learn from his vast organic farming knowledge. Although Bhaskar Save challenged M.S. Swaminathan fundamentally, he has also earned his respect. Mr. Swaminathan wrote to him: “I have long admired your work and I am grateful to you for the detailed suggestions, […] valuable comments and recommendations. We shall take them into consideration.” Their profound correspondence has been published by Earthcare books under the title “The Great Agriculture Challenge” and translated into several languages. With due respect for his highly impressive achievements, Bhaskar Save deserves to have the last word of this laudatio: “I see with conviction that only by organic farming in harmony with nature can India sustainably provide abundant wholesome food and meet every basic need of all – to live in health, dignity and peace”.